Awkward Vaping angles no more! With our new Swivel Drip Tips you can adjust your mouthpiece in any direction you want to give you a more comfortable and customizable vaping experience! 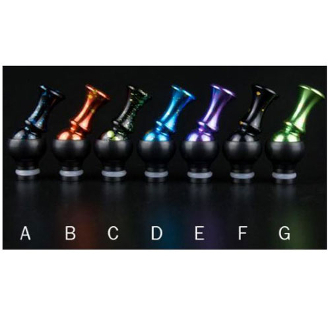 Our Swivel Drip Tip fits on most 510 clearomizers and atomizers, and comes in several vibrant colors for you to choose from.